Weekly Standard: Is CBS News Silencing 'Fast and Furious' Reporter Sharyl Attkisson? Weekly Standard: Is CBS News Silencing ‘Fast and Furious’ Reporter Sharyl Attkisson? 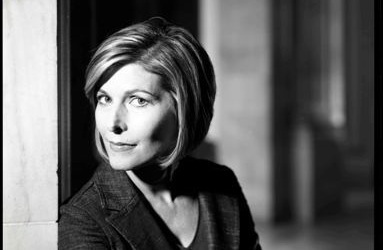 The dust-up between CBS News reporter Sharyl Attkisson, and spokespeople from the White House and the Justice Department over her reporting on Fast and Furious, has become a cause celebre for the right, and a meta-story all its own. Jay Carney responded obliquely to the incident at yesterday’s briefing by pointing out that “tough conversations” are all in a day’s work. Mark Hemingway, of Bill Kristol‘s Weekly Standard, adds another layer to the onion by conspiratorially asking if CBS News is “Silencing Fast and Furious Reporter” Sharyl Attkisson. That response, however, hasn’t penetrated the breathless conservative blogosphere, for the most part. Attkisson described to Laura Ingraham how a DOJ spokesperson had “yelled” at her, and White House spokesman Eric Schultz “screamed and cussed” over her reporting on Operation Fast and Furious, a botched federal gunrunning sting. Reporting about reporting is somewhat unusual (not unheard of), but in this case, the attention being paid to it obscures the fact that Attkisson actually did a pretty fair job of conveying the administration’s objections in her interview with Ingraham. It is, at least in my experience, unusual to be cursed at by a press aide, but that part of the story speaks more to Schultz’s temperament than it does to the merits of Attkisson’s reporting, which is one of the reasons that this kind of meta-story can be so distracting. Today, I called CBS News in an attempt to interview Attkisson. I was told by CBS News senior vice president of communications Sonya McNair that Attkisson would be unavailable for interviews all week. When I asked why Attkisson would be unavailable, McNair would not say. I’ve also heard from a producer at another media outlet that has previously booked Attkisson that they tried to book her since she made news with the Laura Ingraham interview yesterday. They were also told that she would be unavailable. Fair enough, but the interpretation in the headline, and the implication of this item, are unfair, and unfounded. There’s no indication whatsoever that Attkisson wants to comment on her reporting, but is being prevented from doing so. Given the attention that this peripheral aspect of the Fast and Furious story is being given, it would be just as fair to assume that Attkisson didn’t want to be drawn into this, as it distracts from the reporting, on the actual story, that she continues to do. Such an attitude is very much in character for a nose-to-grindstone reporter. Let the shoe leather do the talking. Furthermore, it has been my experience that CBS News, in particular, is very good about letting their reporters speak to the media (other organizations are not). I’ve never had a problem contacting CBS talent directly, or getting a response from anyone who wanted to respond. If Sharyl Attkisson had anything more to add to this story, I’m confident she would do so. Ditto Jay Carney and Eric Schultz, who are also not talking.